Home / beach / Cambodia / Ocheteaul Beach / otres beach / Serendipity Beach Sihanoukville / sokha beach / Authorities in Preah Sihanouk province called on all visitors to be more vigilant and not drink alcohol before swimming in the ocean. 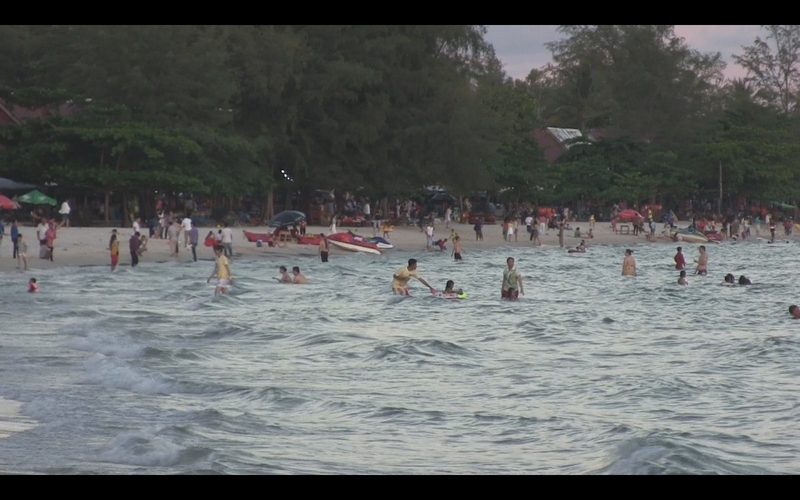 Authorities in Preah Sihanouk province called on all visitors to be more vigilant and not drink alcohol before swimming in the ocean. Authorities in Preah Sihanouk province called on all visitors to be more vigilant and not drink alcohol before swimming in the ocean and also asked all tour boat operators and fishermen to temporarily suspend their businesses after two people drowned and several dozen were rescued due to bad weather. Provincial police chief Major General Choun Naren said that after the drowning incident, about 900 rescue workers, ambulances, police boats and jet skis have been deployed around the province’s beaches and islands to protect visitors’ safety and provide rescue services in a timely manner. “We will send police boats and jet skis using loudspeakers to tell them to return to the shore or go ashore,” Maj. Gen. Naren said. The measures were taken on Friday after two visitors drowned in Sihanoukville and another was rescued by provincial police. Kan Kuyheang, 48, from Kampong Cham province, drowned at Ochheuteal Beach, while an Indian tourist, 36-year-old Naveen Sharma, drowned at Victory Beach.